This Special Design was a commissioned collaboration with my friend Julia. All of the colors require anl extra process, and the tyeing is slow and tricky as well! 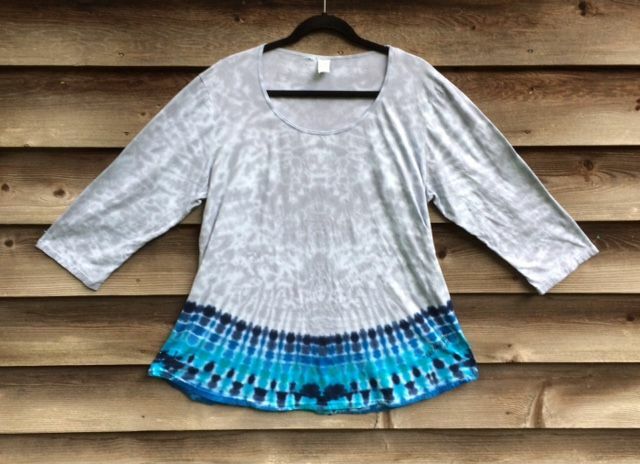 Custom dyed per order~ a true labor of love! Flattering curved hemline, scoop neckline, 3/4 sleeves,with a swing cut body that looks great on most body types. Sewn in the USA of light (but not sheer) 5 oz. 100% combed cotton Jersey (really soft).